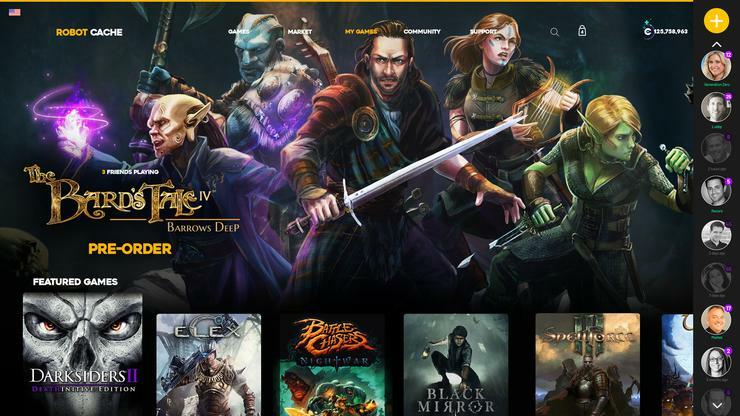 InXile's Robot Cache store shakes things up for players and publishers alike. Steam alternatives are cropping up all over the place, so let’s throw one more into the ring. Announced earlier this year, Brian Fargo’s Robot Cache officially began signups for its so-called Early Access period today. Why should you care? Well, players can sell used games, developers get to keep 95 percent of a game’s revenue, and there’s a cryptocurrency involved. The cryptocurrency in question is called “IRON,” all-caps, and apparently one Iron is pegged to the value of one Euro. Players can mine Iron or earn it in other unspecified ways, then spend it on games at Robot Cache. (In Robot Cache?) It feels like an idea that was probably very exciting in January 2018 when cryptocurrency was hot, and much less exciting in August 2018 when it’s the last thing anyone wants to hear about. Other features are more intriguing though. Steam’s 30 percent revenue cut has long been a sore spot with publishers, prompting companies like EA and Epic to make their own storefronts. Robot Cache isn’t the first Steam alternative to offer a better revenue split, but it’s still an important point in its favor, especially when it comes to wooing developers onto the platform. 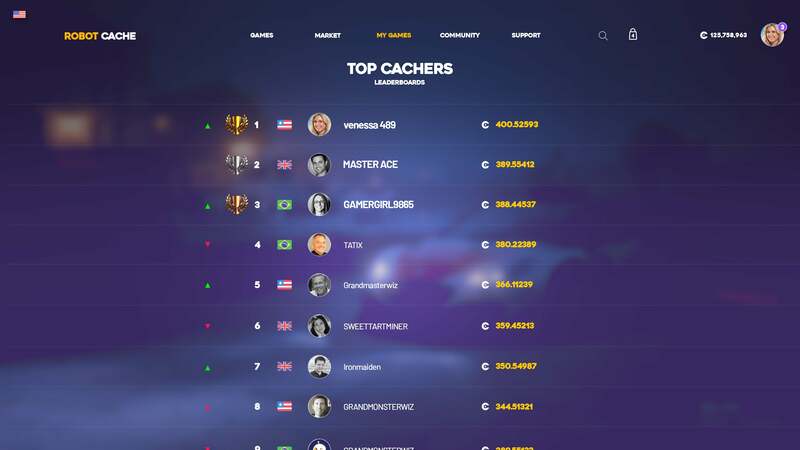 A mockup of Robot Cache's Iron-mining leaderboard. Selling your used games is probably the make-or-break point for Robot Cache though. Nobody allows sales of used digital games, because what does “used” even mean in the context of a digital license? Nothing. It’s meaningless. Your copy of the game is no different and has no more inherent value than one sold directly by the publisher, so why shouldn’t the publisher control the price? On the other hand, one of the complaints levied against physical used games is that the publisher doesn’t make money after the first sale. That’s not the case with Robot Cache. Since it’s a digital marketplace, the publisher still takes a cut of the second sale, the third, the fourth, and so on. A sizable cut, too. Going off Robot Cache’s website, the player only gets 25 percent of the sale, with the remaining 75 percent presumably divvied up between the storefront and the publisher. Still, it’s an interesting compromise. People get a bit of money back in their pocket after finishing a game, and the publisher doesn’t lose too much money on that second sale. Maybe it’ll work? Maybe. For now, it’s all about whether publishers and players alike sign up. Some familiar names are already involved, including Paradox, THQ Nordic, 505 Games, and Versus Evil. There are still a lot of obvious holdouts though. We also haven’t seen the launcher in action. It shouldn’t be too hard to outdo Steam there, and yet so many fail to meet that low, low bar. I’m looking at you, Windows 10 Store. Mockups currently look quite a bit like Uplay or Origin, but we’ll know more when Early Access starts in October. And again, that’s today’s big news: Early Access signups are available. I don’t know why it’s “Early Access” and not just “Beta,” but you can head to the Robot Cache website to sign up, with the first invites slated for October. You’ll also get access to something called the Founder’s Club, which promises “unique rewards and special offers,” plus a badge to display on your profile. We’ll keep you updated if it seems like Robot Cache is going anywhere.